For the English-born American movie critic, see Steven Rea. Rea was born in Belfast, Northern Ireland, to Protestant parents; his father was a bus driver and his mother a housewife. He studied English at the Queen's University Belfast, and drama at the Abbey Theatre School in Dublin. 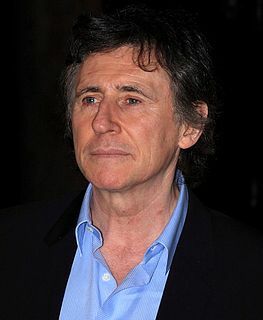 In the late 1970s, he acted in the Focus Company in Dublin with Gabriel Byrne and Colm Meaney. After appearing on the stage and in television and film for many years in Ireland and the United Kingdom, Rea came to international attention when he was nominated for the Academy Award for Best Actor for the film The Crying Game. 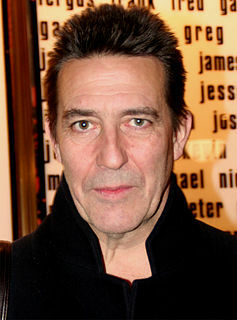 He is a frequent collaborator with Irish film-maker Neil Jordan. Rea has long been associated with some of the most important writers in Ireland. His association with playwright Stewart Parker, for example, began when they were students together at the Queen's University of Belfast. Rea helped establish the Field Day Theatre Company in 1980 with Tom Paulin, Brian Friel, Seamus Heaney and Seamus Deane. In recognition for his contribution to theatre and performing arts, Rea was given honorary degrees from both the Queen's University Belfast and the Ulster University in 2004. Rea's friendship with American playwright and actor Sam Shepard dates back to the early 1970s, and he starred in Shepard's directorial début of his play Geography of a Horse Dreamer at the Royal Court Theatre in 1974. In 2007, Rea began a successful and acclaimed relationship with both the Abbey Theatre and Sam Shepard, appearing in Kicking a Dead Horse (2007) and Ages of the Moon (2009), both penned by Shepard and also both transferred to New York. Rea returned to the Abbey in 2009 to appear in the world première of Sebastian Barry's Tales of Ballycumber. Rea was hired to speak the words of Gerry Adams when Sinn Féin was under a 1988–94 broadcasting ban. In 2011, Rea featured in the BBC crime drama The Shadow Line, playing antagonist Gatehouse. In April 2012, Rea read James Joyce's short story "The Dead" on RTÉ Radio 1. He also narrated for the BBC Radio 4 production of Ulysses for Bloomsday, 16 June 2012. Rea starred in Enda Walsh's 2014 play Ballyturk and portrayed Jordan in Out of the Dark, in which he co-stars alongside Julia Stiles, Scott Speedman and Alejandro Furth. Rea was married for 17 years to Dolours Price, a former Provisional Irish Republican Army bomber and hunger striker who later became a critic of Sinn Féin. (Another news source suggests a marriage of 20 years, from 1983 to 2003.) Price attended a performance of Rea's at the Court Theatre in London the night before she participated in a car bombing which injured 200 people. They had been divorced when she died on 23 January 2013. They have two sons. Rea is an Ambassador for UNICEF Ireland. 1967 Sanctuary Stephen Moriarty Episode: "The Voice of His Calling"
1969 Z-Cars Kenny Episode: "Snout: Part 2"
1970 Softly, Softly: Task Force Philip Conner Episode: "Trust a Woman"
1971 Omnibus Hubert Page Episode: "Hail and Farewell-George Moore"
1972 The Moonstone Major Frayne Episode: "1.1"
1974 Thriller Arden Buckley Episode: "Color Him Dead"
1974–1979 Play for Today Peter / Chas / Shay Episodes: "Fugitive", "Early Struggles", "The Out of Town Boys"
1977 BBC2 Play of the Week Hollar Episode: "Professional Foul"
1978 Play of the Month Constantin Episode: "The Seagull"
1978 The Professionals Pellin Episode: "In the Public Interest"
1980 Caleb Williams Tyrell Episode: "1.1"
1984 Minder Roddy Allan Episode: "Windows"
1986 Boon Frank Warren Episode: "Fools Rush In"
1986 Screen Two Frankie Episode: "Shergar"
1989 4 Play Paul Segment: "Not As Bad as They Seem"
1993 Saturday Night Live Fergus Episode: "Miranda Richardson/Soul Asylum"
1993, 1995 Performance Ejlert Lovborg / Seamus Shields Episodes: "Hedda Gabler", "Shadow of a Gunman"
2001 A Scare at Bedtime Dr. Roger St. Roctor Episode: "Not What the Doctor Ordered"
2007 Imeacht Na N'Iarlaí Aodh Ó Néill, Tiarna Thir Eoghain Episode: "1"
2008 10 Days to War Tim Cross Episode: "These Things Are Always Chaos"
2009 Law and Order: SVU Callum Donovan Episode: "Solitary"
2010 Single-Handed Sean Doyle Episodes: "The Lost Boys: Parts 1 & 2"
2016 Fir Bolg Spencer Episode: "Nochtadh"
^ "Q&A: Stephen Rea". New York Post. 20 July 2008. ^ a b Auld, Tim (25 March 2016). "Stephen Rea: 'I never wanted to be a polite actor'". The Telegraph. Retrieved 22 August 2016. ^ "Queen's prepares for graduation week". Queen's University Belfast. June 2004. Archived from the original on 15 August 2004. Retrieved 11 June 2011. ^ "Honour for Stephen Rea". Ulster University. 15 December 2004. Archived from the original on 19 July 2011. Retrieved 11 June 2011. ^ "Ages of the Moon by Sam Shepard, 24 February – 4 April 2009". Abbey Theatre. 2009. Archived from the original on 3 October 2009. Retrieved 11 June 2011. ^ "Tales of Ballycumber". Abbey Theatre. 2009. Archived from the original on 6 July 2009. Retrieved 11 June 2011. ^ Wolf, Matt (17 September 1994). "Actors lose jobs as ban on IRA voices is lifted". Austin American-Statesman. p. A3. ^ "Rea reads The Dead on RTÉ Radio". RTÉ Ten. Raidió Teilifís Éireann. 2 April 2012. Retrieved 2 April 2012. ^ "Scare comes from Out of the Dark in this exclusive clip". Bloody Disgusting. 24 February 2012. Retrieved 2 April 2012. ^ Barton, Steve (26 February 2015). "First clips emerge Out of the Dark". Dread Central. ^ Boiselle, Matt (27 February 2015). "Out of the Dark (2015)". Dread Central. ^ Foy, Ken; Murphy, Cormac (24 January 2013). "Dolours Price, former IRA terrorist and ex-wife of actor Stephen Rea, dies of suspected overdose". Irish Independent. Retrieved 8 October 2013. ^ Radden Keefe, Patrick (2018). Say Nothing. Penguin Random House. ^ McDonald, Henry (28 January 2013). "Stephen Rea carries Dolours Price's coffin at funeral in Belfast: Former IRA hunger striker is buried after mass attended by Hollywood actor ex-husband". The Guardian. Retrieved 8 October 2013. ^ "Ex-IRA woman Dolours Price is found dead in Dublin". BBC News Online. 24 January 2013. Retrieved 24 January 2013. ^ "UNICEF Ireland Ambassadors & High Profile Supporters". UNICEF. Archived from the original on 12 July 2013. Retrieved 5 October 2012. Wikimedia Commons has media related to Stephen Rea. Seamus Justin Heaney was an Irish poet, playwright and translator. He received the 1995 Nobel Prize in Literature. Among his best-known works is Death of a Naturalist (1966), his first major published volume. Heaney was recognised as one of the principal contributors to poetry during his lifetime. American poet Robert Lowell described him as "the most important Irish poet since Yeats", and many others, including the academic John Sutherland, have said that he was "the greatest poet of our age". Robert Pinsky has stated that "with his wonderful gift of eye and ear Heaney has the gift of the story-teller." Upon his death in 2013, The Independent described him as "probably the best-known poet in the world". Hugh Leonard was an Irish dramatist, television writer and essayist. In a career that spanned 50 years, Leonard wrote nearly 30 full-length plays, 10 one-act plays, three volumes of essays, two autobiographies, three novels and numerous screenplays and teleplays, as well as writing a regular newspaper column. 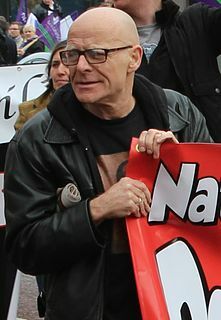 Eamonn McCann is an Irish politician, journalist and political activist from Derry, Northern Ireland. In the 2016 Northern Ireland Assembly election, he was elected as an MLA for the Foyle constituency. He served for nearly nine months before losing his seat in 2017. 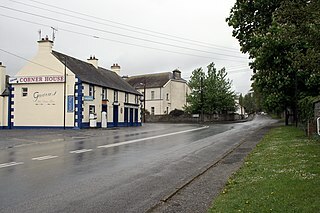 Ballycumber is a village located where the R436 regional road crosses the River Brosna in County Offaly, Ireland. It is 5 km (3.1 mi) west of the town of Clara, on the western edge of Clara bog. According to the Census 2006, the district electoral division population for Ballycumber was 688 people. However, it is estimated that the population within the village boundary is approximately 260 people. The 1973 Old Bailey bombing was a car bomb attack carried out by the Provisional IRA (PIRA) which took place outside the Old Bailey Courthouse on 8 March 1973. The attack was carried out by an 11-person ASU from the Provisional IRA Belfast Brigade. The unit also exploded a second bomb which went off outside the Ministry of Agriculture near Whitehall in London at around the same time the bomb at the Old Bailey went off. This was the Provisional IRA's first major attack on mainland Britain since the Troubles began back in 1969. One British civilian died of a heart attack attributed to the bombing, estimates of the injured range from 180–220 from the two bombings. Two additional bombs were found and defused. Nine people from Belfast were convicted six months later for the bombing, one person managed to escape and one was acquitted for providing information to the police.